BNP Chairperson Khaleda Zia's family on Tuesday sought permission from the Home Ministry for bearing all the expenses of her treatment if she is admitted to United Hospital, reports UNB. Khaleda's younger brother Shamim Iskander sought the permission in a letter submitted to the ministry on Tuesday. Meanwhile, BNP also announced to cover all the expenses of its chairperson's treatment if she is admitted to the United Hospital. 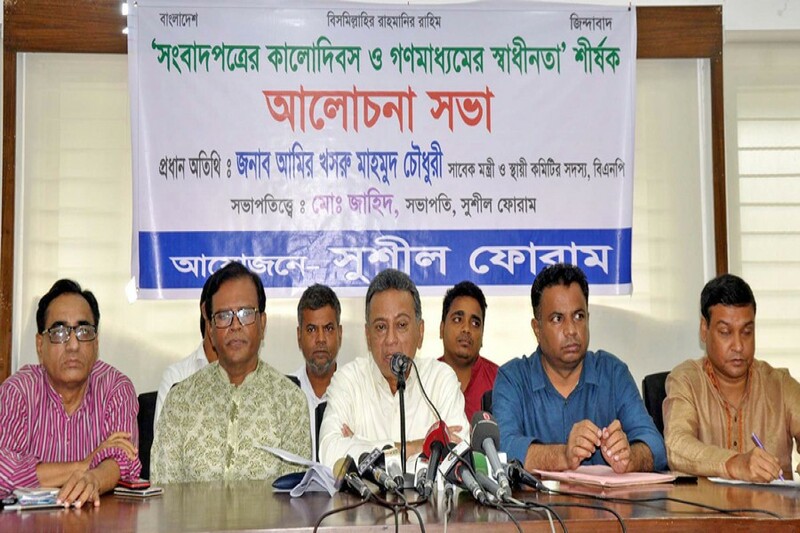 Speaking at a press conference at BNP's Nayapaltan central office, party standing committee member Khandaker Mosharraf Hossain urged the government to immediately have Khaleda admitted to the United Hospital. "We want our leader's proper treatment. If necessary, we'll pay all the expenditures of her treatment." He reminded that then Awami League president and current Prime Minister Sheikh Hasina received treatment at Square Hospital when she was in jail after the 1/11 political changeover, in 2007. Earlier on June 9, four personal physicians of the BNP chairperson expressed fear that she might have suffered a mild stroke at the Old Central Jail. Later, the jail authorities took an initiative to conduct medical tests requested by her personal physicians and said all those tests would be conducted at Bangabandhu Sheikh Mujib Medical University (BSMMU). Khaleda Zia on Tuesday morning refused to go to BSMMU for the necessary tests and treatment. In his letter, Shamim Iskandar said his sister Khaleda Zia has long been suffering from various diseases, but she is not getting proper treatment in jail, and her condition is deteriorating severely. Referring to Khaleda's four doctors' opinion that she 'suffered a mild stroke', Shamim said she is now under a serious health risk. "It's now crucial to have her admitted to the specialised United Hospital for necessary medical tests and treatment. I'm also giving the assurance that our family will bear all the expenses of the treatment," the letter reads.